Access all Andrew Schepard videos here. &fsAndrew Schepard describes how Aboriginal tribes have an optimal process of dealing with child neglect and/or abuse. If abuse is reported, a family group conference may be called; they have the choice of opting out of the coercive court system, which he sees as a model approach. Professor Andrew Schepard's special interests are in family law, especially as it affects children, civil litigation, alternative dispute resolution and developing simulation-based programs of clinical education. He is the co-director of the Hofstra University-North Shore-Long Island Jewish Health System's Center for Children, Families and the Law. In 1995 Professor Schepard was awarded the Chair's Cup of the Family Law Section of the American Bar Association for "meritorious service exceeding what is expected of our leadership." Professor Schepard is a 1972 graduate of Harvard Law School and was articles editor of the Harvard Law Review. Following graduation he clerked for Judge James L. Oakes of the United States Court of Appeals for the Second Circuit. Later, he was special counsel to the City Attorney of Los Angeles and in private practice in civil litigation, with several law firms in Los Angeles and New York. He has served as a special consultant to the State Bar of California to develop legislative proposals to simplify court procedures. Professor Schepard was previously on the faculties of Columbia University and the University of Southern California Law School. He was a principal consultant to the New York Law Revision Commission's Report on the Child Custody Dispute Resolution Process, which recommended a program of mediation for child custody disputes. Professor Schepard is a founder and project director for Parent Education and Custody Effectiveness (P.E.A.C.E. ), an interdisciplinary, court-affiliated education program for parents to help them reduce the difficulties their children experience during divorce and separation. P.E.A.C.E. has produced an award-winning video for parents, and has been recognized by the Association of Family and Conciliation Courts for its "ongoing contribution to improving the lives of parents and children." Professor Schepard also helped design PARTNERS, an educational program for high school students about the legal responsibilities of marriage and communication skills, sponsored by the Family Law Section of the American Bar Association, in use in more than 400 schools nationwide. 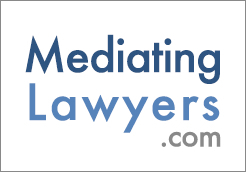 He is the reporter for the Task Force of the American Bar Association Family Law Section, for Standards of Practice for Divorce and Family Mediation, recently adapted by the ABA. He is the editor of the Family Court Review, an interdisciplinary journal focusing on constructive resolution of family conflict, sponsored by the Association of Family and Conciliation Courts and published at Hofstra Law School. He is the director of the National Institute for Trial Advocacy's Northeast Deposition Program for Practicing Lawyers. Professor Schepard has written many articles about divorce, child custody law, procedure and mediation of child custody disputes, as well as other aspects of judicial administration. He founded the Law and Children column of the New York Law Journal. He is an adjunct professor in the Department of Child Psychiatry at New York University Medical School. He was formerly chairman of the Legal Affairs Committee of the National Governing Board of Common Cause, and a member of the Board of Education of the Mamaroneck School District. He is a former member of the board of directors of the Association of Family and Conciliation Courts, a Fellow of the American Bar Foundation and an elected member of the American Law Institute. "When new mediators ask me to name the best resource for news, ideas, and information on dispute resolution, I tell them there's only one name they need to remember: Mediate.com."